Inga learned how to knit from her mother when she was 8 years old. Mom knitted clothes for dolls and Inga remembers how she wanted to knit as well. Although mom knew how to knit, she was only familiar with the basics and Inga wanted to learn more. Inga remembers the elderly ladies sitting outside and knitting and little Inga would ask them for help. 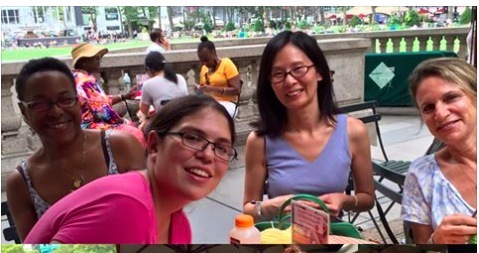 In essence, this was Inga's first knitting community. Inga remembers how in school girls learned how to cook, sew and knit. She wasn't to keen on sewing classes and what "saved" her during this time, is that she had more knowledge of knitting than her teacher. Waiting for Rain shawl designed by Syliva McFadden. "I used to work in labs as a scientist and you don't want to spill anything on your beautiful knitted items. Nowadays, I work in an office environment. When you meet with clients you want to look well dressed, so I when I do wear my knitted items, I tend to wear sweaters with black jeans. I can't really wear too crazy colorful items at work." "I found Knitty City just by chance. I walked by once but did not go in. The second time I walked by, I decided to go in. At first I would only browse a bit. I noticed how people were very friendly and welcoming. Then one time, when I was feeling a bit homesick, I decided to sit and knit at Knitty City. I wanted to do what I love and that is knitting. And I wanted to be with others who love to knit too." Even though NYC is an awesome city, it is also overwhelming at times. In addition, I don't have a family in this country and it feels lonely now and then. People at Knitty City have become an amazing family substitute and a good support. I love to meet new people who share my passion for yarn and knitting and to hear their stories." "I have been living in NYC for 3 years now. NYC is fun and vibrant but at times it can be a bit overwhelming. I do enjoy living here, everybody seems to be from somewhere else. Knitting helps to relax in the hectic city, it calms me down when it gets too stressful." Inga used to only knit at home and was very self conscious when knitting in public. But then she found the Knitty City community! "Connecting with the knitting community here is great. Whenever you see someone else knitting in public it gives you courage. There are people out there that love knitting as much as I do. I don't feel judged when I am among my knitting friends. 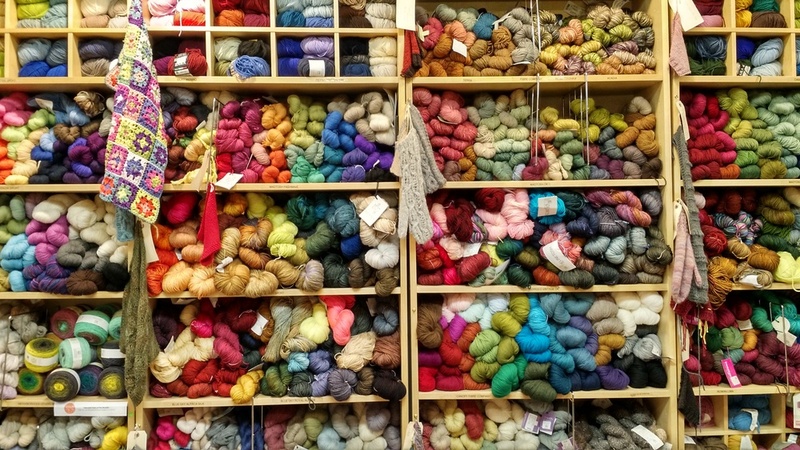 At Knitty City, I meet like minded people who love knitting and yarn as much as I do. This way, I don't feel that I am the crazy one. I am thankful for the knitting community. 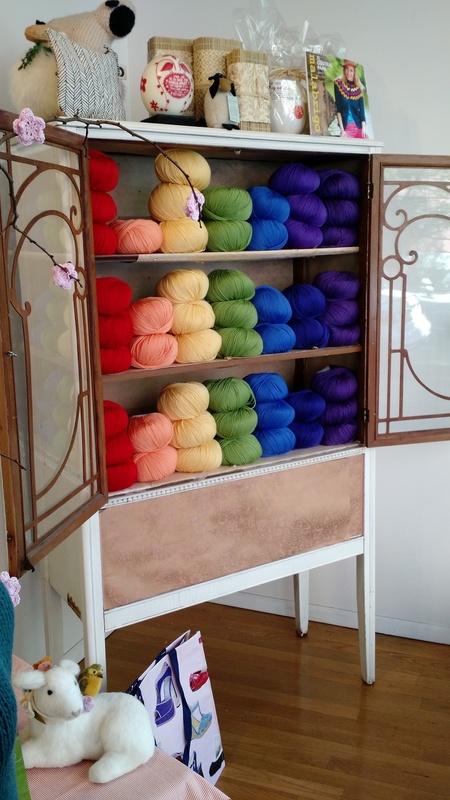 I am happy that there are as much crazy knitters like me out there." We hope you like our first blogpost about one of our customers. This way you get to know them and you will get a feel of NYC. We think Inga always picks out the best knitting patterns and she is a great knitter. She always inspires us and we hope she inspires you too! Find Inga on Rarely: @zurzilka.